Today’s post is a contribution from my husband David. 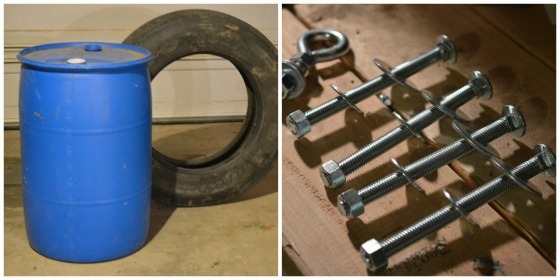 Thanks to the partnership we have with Discount Tire on this post, we are sharing our recycled tire DIY project for inspiration. 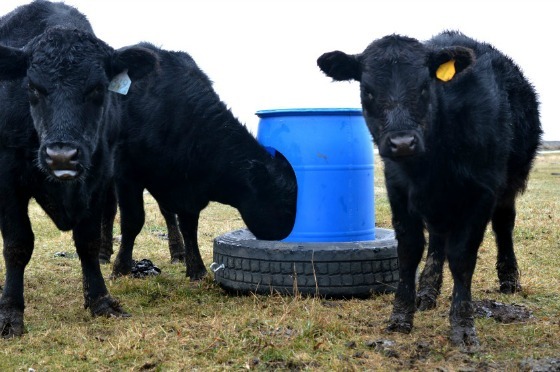 I was looking on craigslist and other online boards for a mineral feeder for our cattle when I found a video of how to make one using a recycled 50 gallon plastic barrel and a semi-truck tire. It caught my attention because I picked up a free barrel a few weeks ago and it wouldn’t be hard to track down an old tire to work with the project. The price of a mineral feeder at the store is a couple hundred dollars although specifically designed for the purpose- not what I wanted to spend. The process is quite simple but there is a few things that will make it easier so I will point them out. There are many great projects that you can do with your used tires after you are finished with them on your vehicle. 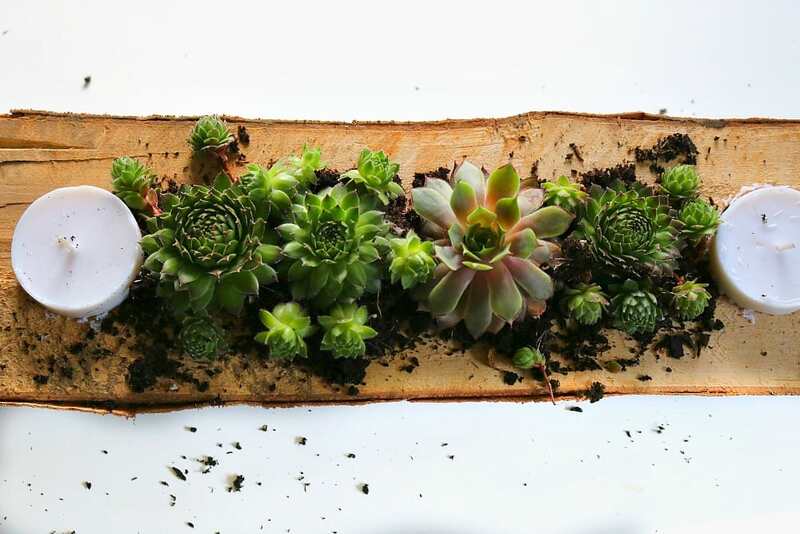 Make sure to share with us your favorite upcycled tire DIY projects in the comments section! For this project we used a semi-truck tire which is easy to come by in farm country. Optional: eye bolt, 2 washers, and 2 nuts. 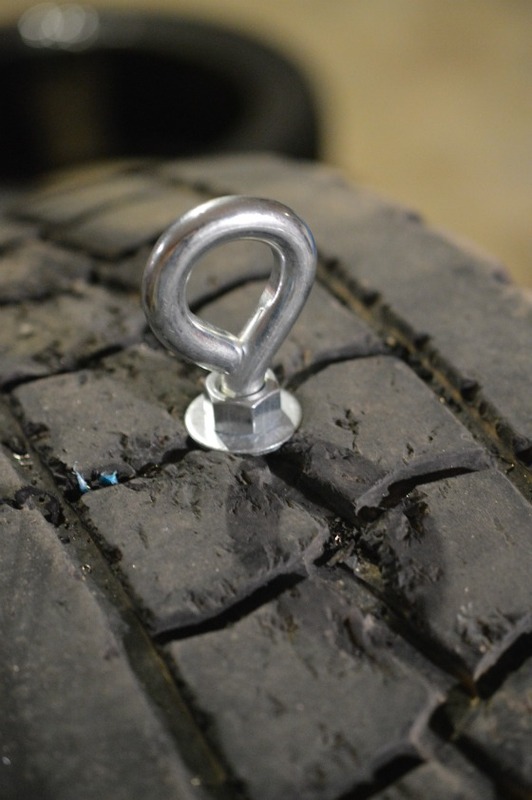 The 1st thing you do is optional: Simply drill a hole in the center of the tread of the tire and bolt the eye bolt in place. This is so you can pull it with a 4 wheeler or lawn mower. Make sure to wear eye protection since there is metal in tires. Then start with marking the center of the barrel for the hole that the cattle with stick their head in. I used a marker and free handed an outline, just make sure that you have the bottom of the hole is around the same height of the tire. The hole should be about 15-20 inches tall and 15 inches wide. Next cut the hole out… you can use a jig saw, sawzall or something similar to cut it out. 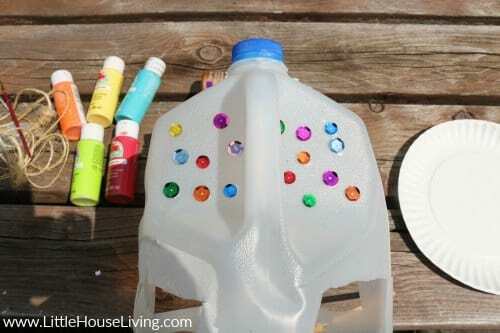 Start by drilling a hole big enough for the blade and then cut out your outline. 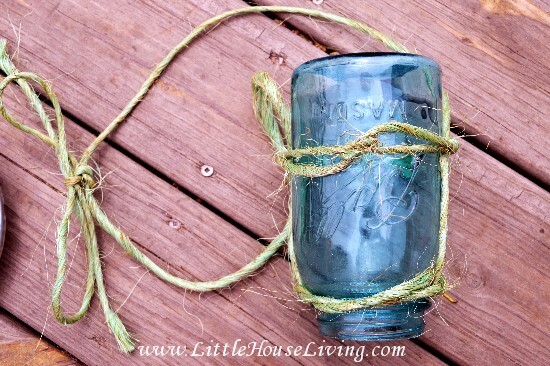 It will leave the edges of pretty rough so you can use a pocket knife to smooth out. I used a propane torch to melt the burrs off and it worked pretty well also. Next you need to drill the 4 holes for the bolts that will attach to the barrel and go inside the tire to hold the barrel in place. This measurement might vary depending on the width of the tire, but ours was 7 inches, so once the bolts are in place in the barrel, they will be just below the rim of the tire. 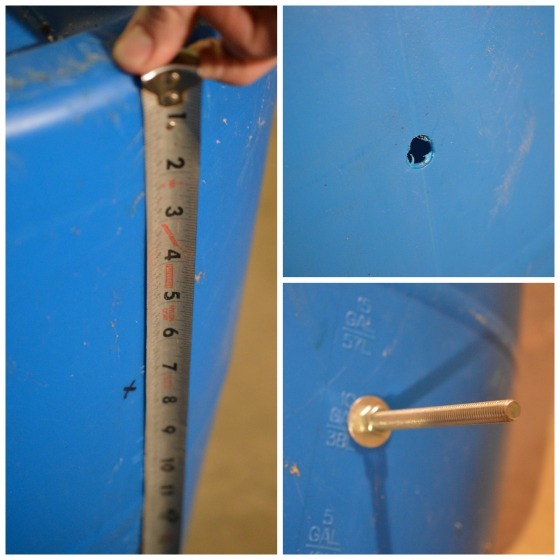 Drill 4 holes evenly around the bottom of the barrel. I used a 5/8 drill bit for these holes so the square part of the bolt would fit in well and hold it in place while I tighten the nut. You could also add a lock washer if desired. I didn’t have any on hand but it wouldn’t be a bad idea. Put one of the washers on the bolt, feed through the hole you drilled in the barrel, then put the 2nd washer and nut. (Put the 1st two bolts in the furthest holes you drilled from the large hole, that way when the barrel is sitting inside the tire and you put the 2nd two bolts in you won’t have to reach as far.) Once the 1st two bolts are in, wiggle the barrel into the tire. Then you can put the barrel back down and use a wrench to tighten the nut on the bolt. It might take a little time since its tight quarters but once all 4 bolts are in you can push and wiggle the barrel all you want but it’s not going to tip over. On the top of the barrel, most have a hole drilled for the water to run out. I drilled a couple more. Then hook up the barrel, haul it out to the field, add your minerals, and let the animals enjoy! David is Merissa’s husband. He enjoys life in their small town and being a part of the community. David’s goal is to be as self sufficient as possible on their small farmstead and to make the most with what they have. This post is sponsored by Discount Tire Direct who are able to help with many tire needs from winter tires to ATV tires. Any thoughts or ideas on the products or the company are our own. That certainly is a creative use of an old tire! Thanks for sharing at the Thoughtful Spot! This article is totally worth it, it solved my problem of animal mineral filter. I’m going to purchase this from market if I haven’t found this article today. Thanks for sharing such great info. I never saw such amazing use of such old and wasted things like tire. This is really an innovative idea to feed animals. I never read such DIY in any other site or discussion forum. The idea of animal mineral feeder is really impressive and cheap. I’ll surely go for this on my farm. 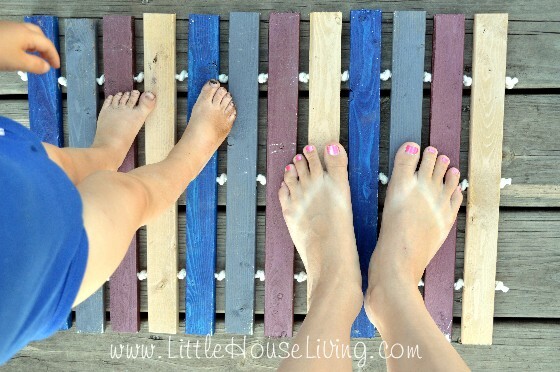 I regularly follow your posts on Pinterest and I must say that I love to read those innovative and creative idea to make the most of unused things. Keep up doing great job, love from Australia! This feeder is awesome. 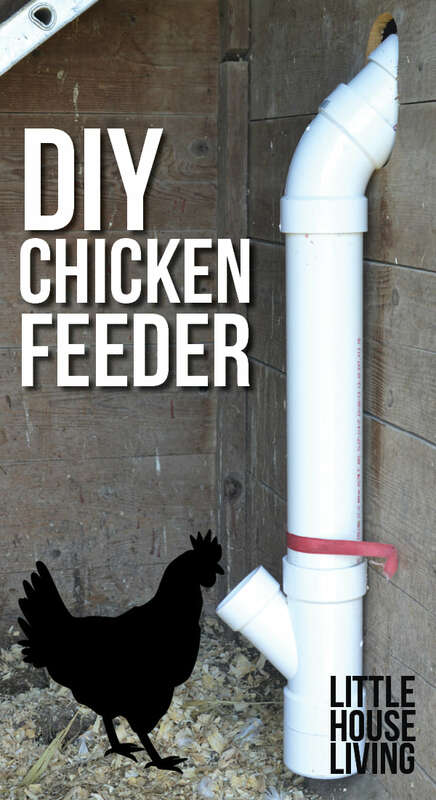 I’d love it if you stopped by our DIY Animal Feeders Link-up and share this link. Thank you again for this idea. Hope to see you there! 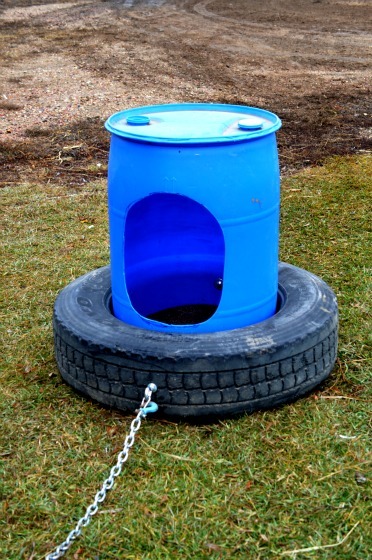 You can also use baling wire to fasten the barrel to the tire. Drill two holes in opposite sides of the barrel and two holes in the corresponding places on the tire. You can usually get free barrels from a local automatic carwash. The barrels originally hold soap so they’re super easy to prep.